Over the past decade, French DJ and producer, Terence Fixmer, has continued to evolve as an artist while maintaining his influential stance in international techno culture. Fixmer is back on CLR after his last EP, Elka, on DJ Deeps label Deeply Rooted, this time with his fifth solo album. With his last solo album already five years behind us, his evolution as an artist has brought him to a whole new level while his taste has led him to produce his most self-expressive album yet. With this 10-piece composition Fixmer is able to tell a story from start to finish, with powerful, deep, dark, pulsating tones that are essential to his musical approach. Depth Charged is a complete concept as Fixmers track arrangement takes the audience through various emotions illustrating how there is more to darkness than the dance floor. Beginning with a slow but heavy bassline, Ellipse acts as a perfect introduction setting the attitude for the album. Fleeting Beauty brings us fluttering chords amidst a serpentine drone, while the rolling bass of Unforeseen sends you into a trancelike state. Purity distracts the listener with its raw analog warmth filled with extraterrestrial energy. Inside of Me, exclusively selected by Marcel Dettmann for his Fabric 77 mix, followed by Outside of Me are both very dark tracks, filled with atmospheric suspense and quaking rhythms. Beyond is a pure exemplary of Fixmers signature style with an infectious progression sending anyone to the dance floor as Pallid Light follows its footsteps filling a bit more radiance into a modern techno sound. Thoughts shows another emotion of the album with deeper dub-like sonorities leading to the final track. Concluding the odyssey is Elevation, the most melodic track of the album, beautifully deep, undulating and atmospheric, it is a breath of fresh air that brings one back to reality. Fixmers productions have drawn the attention to stimulate individuals in other artistic mediums, as the track was an exclusive selection of Raf Simons to showcase his works for Dior at the CFDA-Awards. Raf has been a very big supporter of Fixmers work since his first album in 2001, Muscle Machine. 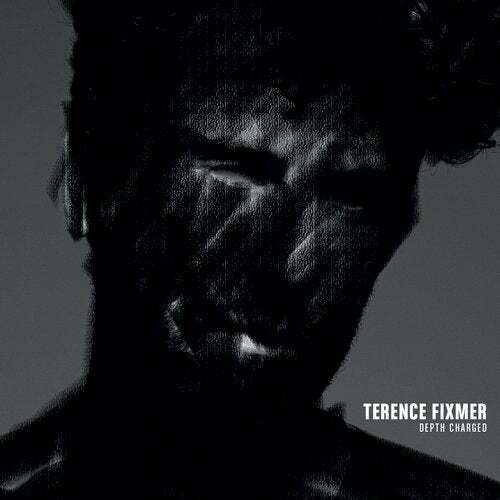 Passionate of profound mystifying tones that rise and fall, Depth Charged is the epitome of unique expressiveness for Terence Fixmer. With darkness as a companion, each track has come from deep inside the soul; uncompromised soundscapes that promote taking risks.